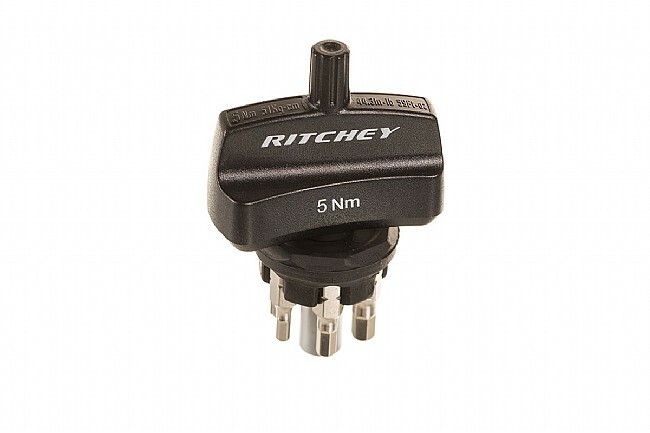 Ritchey's compact and foolproof 5 Nm torque key now includes 6-bits for more versatility than ever before. 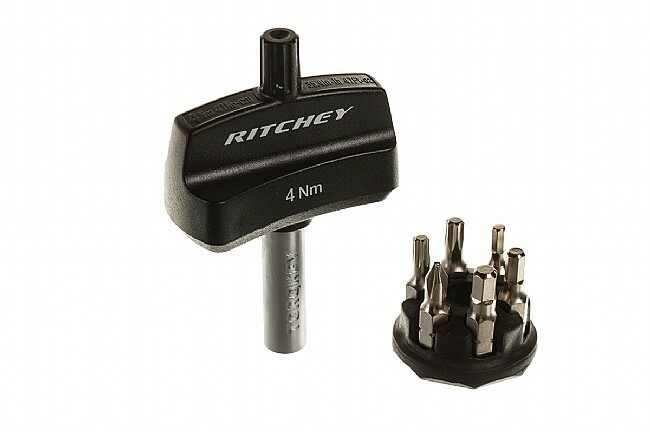 Features 3, 4, and 5 mm hexes along with T-20, T-25 Torx heads and a #1 Philips. An included bit holder stores on the shaft for convenient put away. I was very hesitant to spend money on a torque wrench for a long time. I finally caved and got this little guy. It handles 90% of all the day to day adjustments you would make on your bike. Stem, saddle, seat post, accessory screws, etc. Its very noticeable when you hit torque. Its light enough to take with you for mid ride adjustments in a saddle bag for instance. Its a such a small investment for an everyday useful toolI wish I bought it sooner. I wanted a torque wrench to have in my under saddle bag and decided this might fit the bill. Although it works as described I find that for older and slightly weaker hands the short lever provided by the wings (arms?) is getting harder to bring the item being tightened to full torque. Young strong hands ENJOY! I have found this to be a pretty handy with the right application. Not enough length or rotational clearance for many jobs, but it is just about as portable as they come. I use this for adjustments and Bike fits for Disabled Vets. I like how all the bits and sizes are on the holder. the Bontrage only has one size to each handle. I can torque everything Seat post, Stem, Brake Cables, Bottle Cages and SRAMZIPP Garmin holders. It is foolproff, sihned a fool. I used to use a big torque wrench. This is SO much easier.